Customers hesitate to opt-in to SMS advertising campaigns because they do not want to be spammed with bulk texting. As a marketing professional, you can run a successful SMS advertising campaign without spamming your customers. To do so, you must understand your target audience. If you do not, your texts will drift into spamming territory and your marketing ROI will pay the price. In this post, you will learn how to run the best SMS advertising campaign. Provide customers with convenient support through SMS advertising. While campaigning, there is a good chance that consumers will have questions about what you are offering. Stick to the convenience level you are campaigning at by offering customer service via text. You can engage with far more customers than you would online because more people have access to their cell phones. While a school nurse may not have time to browse the internet during the day for answers to their questions, they can quickly send and receive text messages. Set-up automated text responses to certain questions or handle them personally. Either way, it will assist you in running the best SMS advertising campaign. Another component of running a successful SMS advertising campaign is time. As said above, customers have a fear of being spammed via text or whatsapp marketing. They do not want to be woken up in the middle of the night from your text messages. To refrain from agitating consumers, schedule your text messages for the middle of the day. Furthermore, do not send them too often. Schedule your messages hours apart from each other and stick to just one or two a day. If you plan accordingly, you can reach your audience each and every day without coming off as spam. As a result, your campaign will achieve your marketing team’s goals. While timing plays a major role in building a successful SMS advertising campaign, so does the message itself. When developing the text messages, use a call-to-action. As a marketing professional, you are familiar with the importance of driving customers to take action. Without action, sales do not happen. Similar to other types of campaigns, keep your call-to-actions short. By using SMS advertising strategies, you make shopping more convenient for customers. Ensure it is as convenient as possible by providing direct links in each text. Then, your SMS advertising campaign will end in success. Another feature to include for the best SMS advertising campaign is the opt-out option. Aside from coming off as spam, you could also break the law if you do not provide customers with the ability to opt-out. Rather than run your brand right into a legal dispute, put customers at ease with the option. Before customers even opt-in, explain what they will gain from your texts and tell them that they can opt-out at any time. The ability to end your conversation comforts customers and encourages them to choose to receive your texts in the first place. Hence, you build a larger customer base by giving them the choice. Additionally, understand the power of incentives and how to use them throughout your SMS advertising campaign. When beginning the campaign, offer customers your best deal. In doing so, you will encourage more consumers to opt-in to your text messages. Once you have a decent audience and sales have been made, offer smaller deals. Successful campaigns often switch over to deals like “Buy One Get One”. Customers will still find excitement in receiving exclusive deals, and your brand will profit more off of the marketing vs advertising strategy. Use their excitement to your advantage to build the best SMS advertising campaign. Customers only opt-in to the best SMS advertising campaigns. 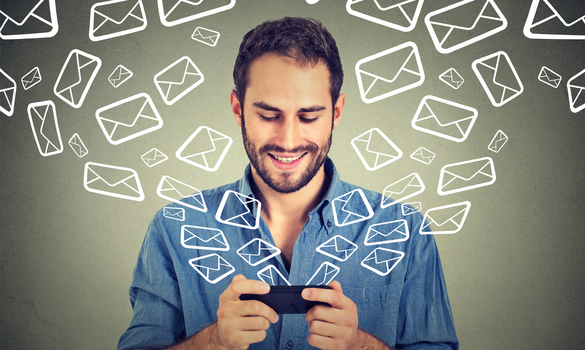 To increase your audience base, offer customers support through text messaging. Maintain an effective texting schedule that will not aggravate customers. Use short and concise call-to-actions in your texts to provide convenient deals. Give customers the option to opt-out at anytime. Lastly, vary your incentives throughout the campaign to ensure your brand can profit. These are all ways to successfully run SMS advertising campaigns.